The school has an art department that buzzes with creativity. This department does more than just teaching art. 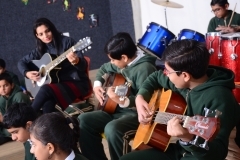 It infuses creativity in the young minds and hearts here. The department comprises of Art room, Pottery room and Sculpture room. DPS Abohar has a room exclusively dedicated to art and craft related activities. Besides the day to day activities that take place within the class rooms, little creative hands add colour along with smiles to their lives over here. It’s heartening to see pictures of the mind turn into pictures of reality through the creative hands of these little toddlers. Just come up to the First Floor, in the A Block , and you are sure to get drawn in with the enigma of Music and Dance. School realises the importance of Music and Dance for the holistic development of the students and hence ample opportunity and exposure is given to the students to get a feel of their own potential. 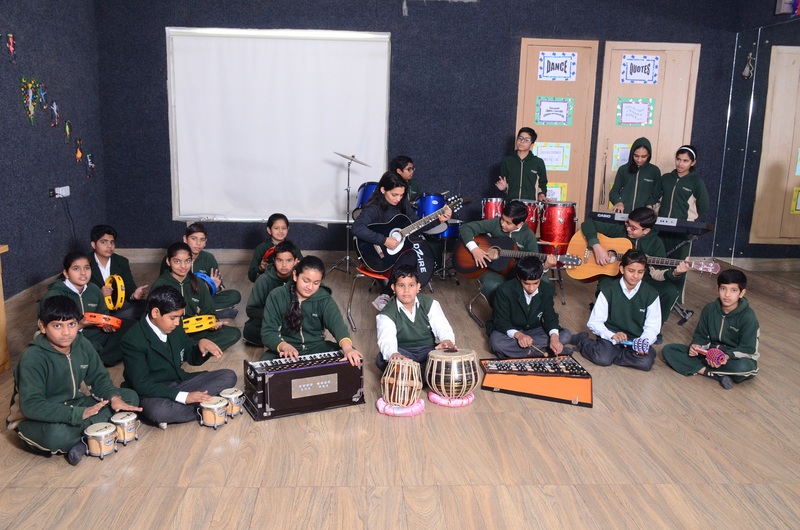 Our young music experts also form the ‘School Orchestra’ can be seen them mesmerizing the audience during school programmes. 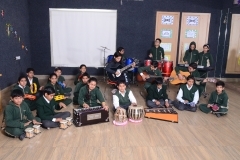 At DPS Abohar, we have music and dance room. One can see the spirits of the little students liven up as they shed all their inhibitions and get into the real thing!